Football news: Everton sign Romelu Lukaku for £28m. Everton sign Romelu Lukaku for £28m. Everton splash cash on Lukaku. Romelu has agreed a five-year deal with Everton fc, and for a record transfer fee of £28m exceeding the £15m fee paid for Fellaini. Lukaku said:"I am really excited about rejoining Everton.I had a fantastic experience last season and a great relationship with the manager, the chairman, the staff, the players and the fans.I can't wait to get started again and i'm looking foward to a successful season. "I think i can improve in every aspect.My goalscoring record is good but i want to get better in every area, the 21-year old added. 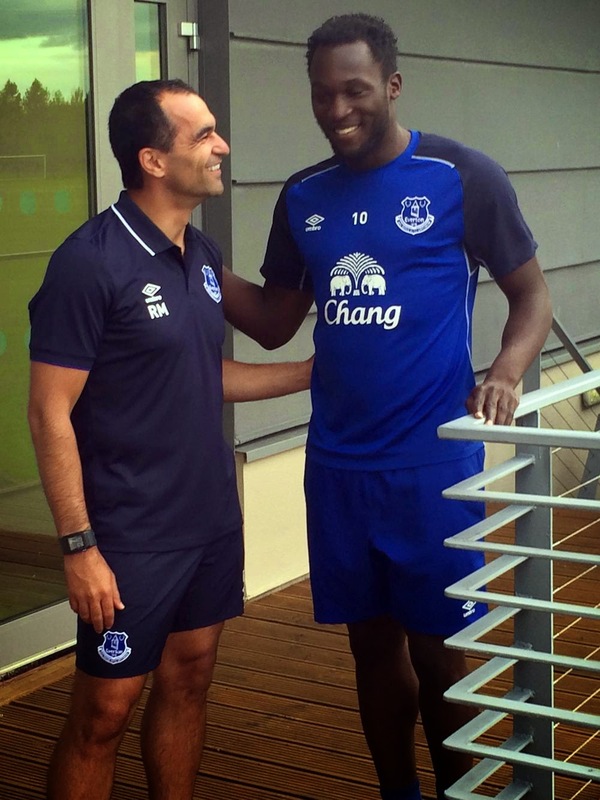 Happy Martinez said:"It's a very significant day in the history of our club, signing Rom is every Evertonian's wish. "We know that Romelu is still a young man and the potential he has is quite unique, and we are desperate to see him enjoying his football and to watch him grow as a footballer in the years to come".